Three years. Three exciting years have passed since the first scrolls of Potato History were recorded in our 2013 Year in Review. The company, mind you, had existed for a while, but that’s when we began to put it on paper. The fundamentals are the same. We’re still focused on customer relations, on building the best websites on the planet, and on giving return value on every piece of your income spent with us. But the results—well, the results have become something spectacular. Today, client websites account for over 120 million visits per year, and those visits account for more than £60 million in digital transactions for our customers. For a small business in Plymouth, that’s hard to fathom. We double checked those figures, and then we triple checked them. It’s true, and it’s all thanks to treating people the right way. In 2013, we had an eye on the future; we knew that taking care of customers and going the extra mile was our company signature. In 2016, we’ve seen that philosophy take off. So what does going the extra mile actually look like? It looks like over 45,000 email replies to customers and potential customers in the calendar year alone. It looks like our new hosting service, Potato Care, thwarting over 4 million hack and brute force attempts on customer’s websites. (That’s part of the reason Potato Care has grown to nearly 25-percent of our daily business.) And, it looks like the United States—a place where we have no physical offices, and can only interact via customer service—accounting for nearly a third of our customer base. The U.S.-based outdoor media empire came to us on a word-of-mouth recommendation. And if you could find a group of people more skeptical about working over seas, we’d like to see them. At the time, MidWest Outdoors had a quality brand with an ageing platform. They’re not just a print magazine. They produce content for television, radio and mail marketing, and they wanted to seamlessly incorporate all of those elements into their new website. Thankfully, we were up for the challenge. It’s no secret that subscription-based services rose to new heights in 2016. Thanks to the online workout guru’s at That Girl, we were able to create one of the most beautiful subscription sites of the year. That Girl grew from a business selling one-off workouts, to a subscription-based service with bespoke workouts, downloads and memberships based on WordPress and WooCommerce. Its’ success quickly spawned another brand, in conjunction with workout guru Dan Roberts, dubbed That Methodology, that became another one of our creations. Although this was a fairly straight forward build, looking back on it, I learned so much about the power of connects here. Another client, Charli Cohen, recommended That Girl, who recommended Dan Roberts, who then went on to create another workout website with The Methodology. One recommendation turned into four very large projects very quickly. One of the facets of potato philosophy we’ve been most proud of since 2013 is our instinct for simplicity. Design trends evolve over time, but simplicity never goes out of style. 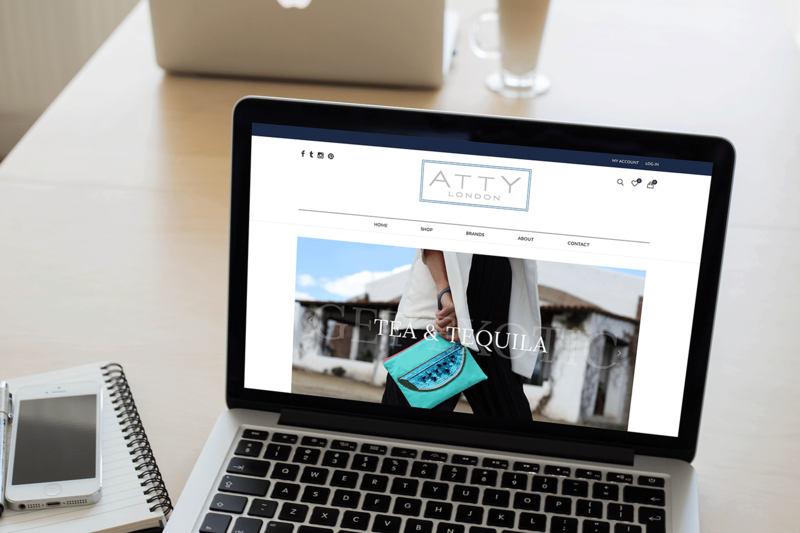 London-based fashion shop Atty London felt the same way, and together we created a beautifully-elegant website that became a hallmark of how powerful simple design can be. There was nothing particularly technical about the build. It just turned into something beautiful. Our whole team was really pleased with the result, and we took a lot of pride in ensuring that every page was flawless on both mobile and desktop. We have already received many compliments on our site and have a platform we are proud of and look forward to continually building with Metal Potato in the future. 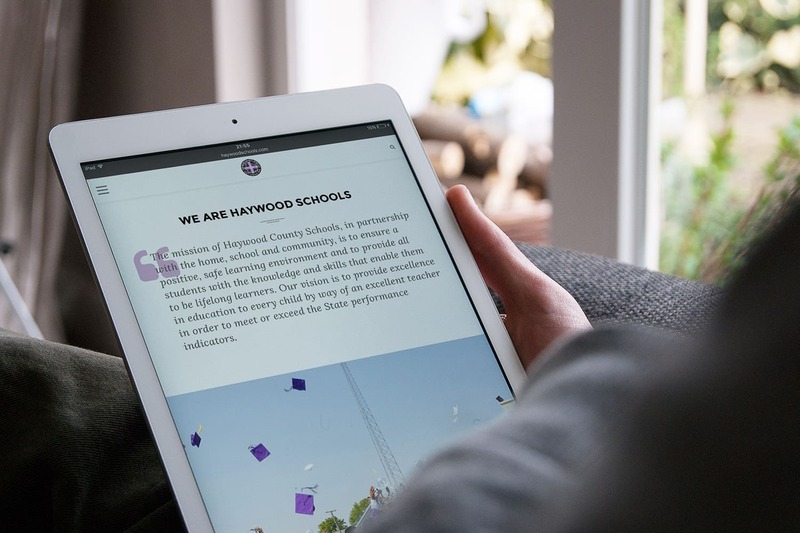 Our first government website build in the United States, we completed the Haywood County Schools website in early 2016, and the project came to represent real validation for Team Spud. In addition, it added a new level of technical support to our portfolio, in the form of video-based WordPress tutorials. When we started, the administrators of the site had zero experience with WordPress. As we were in another country we had to find a way to teach those administrators how to use their website. In the past, we relied on email instructions and answering questions via drawn out responses, which wasn’t optimal. With Haywood County Schools, we began using screen videos with narration over the top, which made it really easy for novices to learn. They have been more than accommodating in design ideas and questions and helped me through learning WordPress. They were very patient with my questions and gave me all the answers I needed, usually with a video showing me how to make changes to different parts of the website. Like MidWest Outdoors, which came along a few months earlier, AnglersChannel.com revolves around outdoors in the U.S. However, the philosophies and design needs of each were remarkably different. 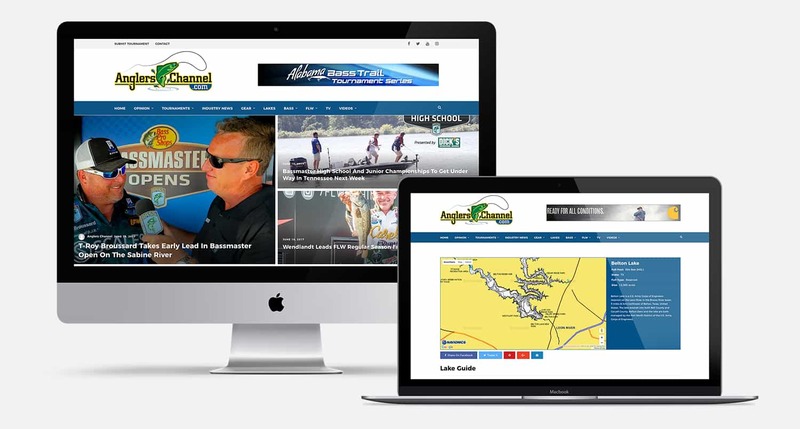 Whereas MidWest wanted a “big picture” website to house their content, Angler’s Channel wanted a tightly-focused website that allowed fishermen to zero-in on specific waterways to fish, and a website that delivered them news based on those areas. The result was a first-of-it’s-kind lake map blending Google Maps with Navionics Lake Maps, in a technically impressive build that required a month long, manual migration of content from their previous content management system. It wasn’t something we had quoted out. Migrating that content took four people over a month to complete, but we stand behind our quotes, and we believe in getting the job done regardless of what obstacles appear. A few weeks after AnglersChannel launched, company President Chris Brown found himself sitting on a dock at a Tennessee lake. I just posted a press release from my phone, from the dock! He laughed. There’s no way we could have done that before. We’ve saved the best for last. While many things around Potato HQ have changed since that first, 2013 post, our relationship with Lucy has stayed true. She was one of our first celebrity clients, and her original Metal Potato launch brought in over 100,000 page views in 24 hours. It’s Lucy Watson who, in a big way, helped shape our people-based view on business by showing us how important getting to know not only the project, but the people behind each project really is. From the get-go, Lucy’s websites needed to reflect her style, her personality and her outlook on the world. Three years ago, she taught us a valuable lesson in crafting a website around a company—not the other way around. As with all relationships, there were some ups and downs. Lucy’s personal website left the Metal Potato portfolio in 2015, but we held on to her jewellery brand, Creature, and the good work we did there brought her back to us in 2016. We were proud to welcome her back with a new website that takes advantage of 2016’s Internet, and looks and works more beautifully than ever before. And, as always, we stuck to her vision. Not only were they efficient and speedy but they really followed the creative path that I was going with. I am happy to say that they manage my website for me to a high standard and I will definitely be using them again. That, in a sense, is the beauty of business. It’s the beauty of relationships. They’re both a circle. For us, no matter how far we grow from our roots—no matter how that growth changes our customer base and services—we can always go back to the beginning: clean, responsive websites that are easy to use and look great on any device. So what’s next for the future? What does the potato-sphere hold in 2017? We’re often asked about app building. And the only thing we’ll say for sure is…never say never.